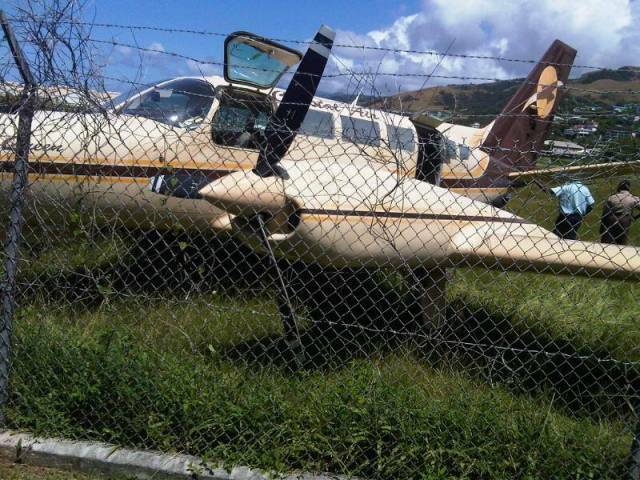 A Coastal Airways aircraft ran off the runway at the Canefield Airport just about 10:40AM on Thursday. 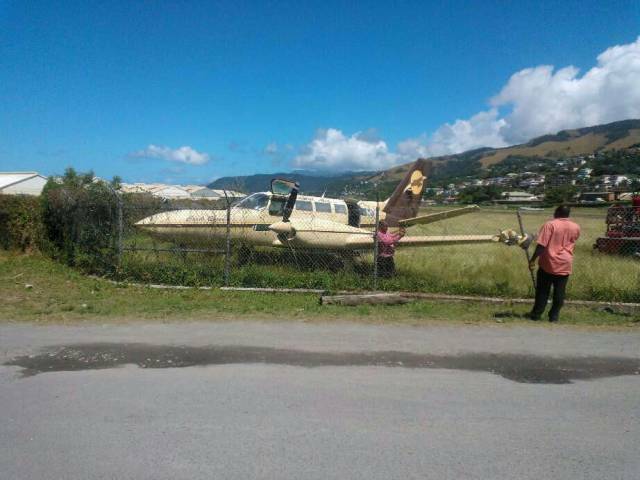 The incident, which was confirmed to Dominica Vibes by Chief Executive Officer of the Dominica Air and Sea Ports Authority, Benoit Bardouille resulted in no injuries however a wing of the aircraft was reported damaged. 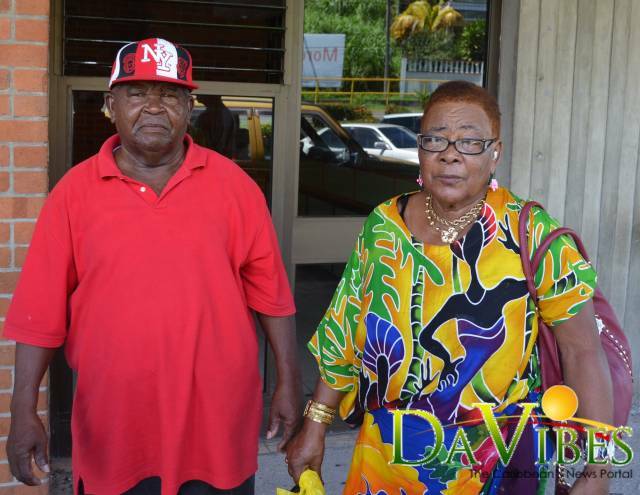 Mr and Mrs. Stanford and Rosa Xavier, passengers on board Costal Air. Coastal Air departed St. Croix approximately 9:15 am and arrived in Dominica about 10:40. The plane which landed safely ran off the runway and into the Airport’s fencing with all the nine passengers and one pilot on board. Antoine Baptiste a passenger of the plane gave his account of the event. “The pilot landed good, but when he came to stop he said that he can’t stop. When he saw that he was coming to the end of the runway he swung the plane back and it touched the fence post and stopped”. Antoine, who was sitting at the front of the aircraft, said “nothing much was going through my mind I was only concerned about a cargo ship container which was at the back of the fence and I thought if we collide with it we might be in some trouble”. Selma Luke, another passenger on the plane also described the flight. “We had a very good flight, when we arrived in Dominica I started clapping, we landed very well but afterwards I heard somebody said the plane cannot stop, I just look and the plane was in the bush. It didn’t bother me, I’m a Christian,” she said. Stanford Xavier and his wife Rosa described the incident as “an experience of their life” and noted that it may have a negative impact on future travel for them. Airport officials have not issued a statement on Thursday’s accident.